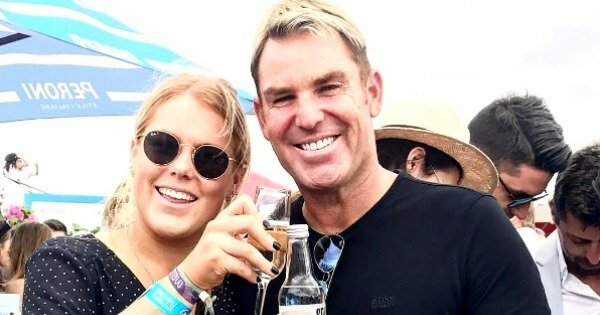 Shane Warne daughter story "total lies", Warnie says. Former Australian cricketer Shane Warne has taken aim at Woman’s Day for publishing what he calls “total lies” about his 19-year-old daughter, Brooke. Speaking to the Herald Sun, both Warne and his ex-wife Simone Callahan said they felt the need to address the claims publicly to ensure the reputation of their daughter is in tact. The move comes after the magazine published quotes from an “anonymous” source saying Brooke was a “wild girl” who “could drink all her mates under the table”. The story was picked up by other news outlets who gave voice and unfounded credibility to the “anonymous” source, with few offering the 19-year-old a right of reply or a chance to clear her own name. “This was the last straw. This latest article they have published has no facts to it whatsoever and is total lies,” Warne told the paper. 46-year-old Callahan also threw her support behind her daughter, resenting the magazine for putting a spotlight on the 19-year-old that she did not seek nor ask for. “Our children have not chosen to be in the public eye nor do they wish to. It’s unfair that they are being harassed, judged and portrayed in a disrespectful way, along with false accusations and being totally misrepresented in the public space,” she told the paper. WATCH: Mia Freedman discusses how she deals with haters.